This morning, we officially welcomed our friends from Raey Guang Elementary School! They arrived on Wednesday morning and we have spent the past 36 hours learning about one another’s educational, cultural and social traditions. 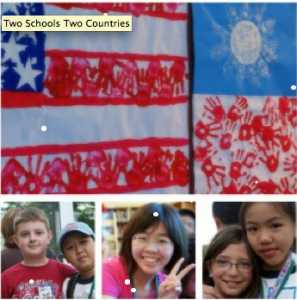 As a school, we celebrated our international friendship with songs, gifts and more together. Mr. Bowen, one of our fourth grade teachers, created a slide show with highlights of the ceremony. 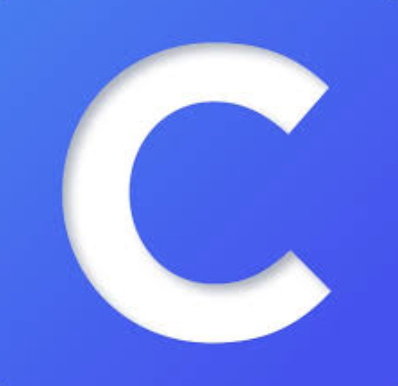 You can watch this below! Raey Guang Students Are Getting Closer! 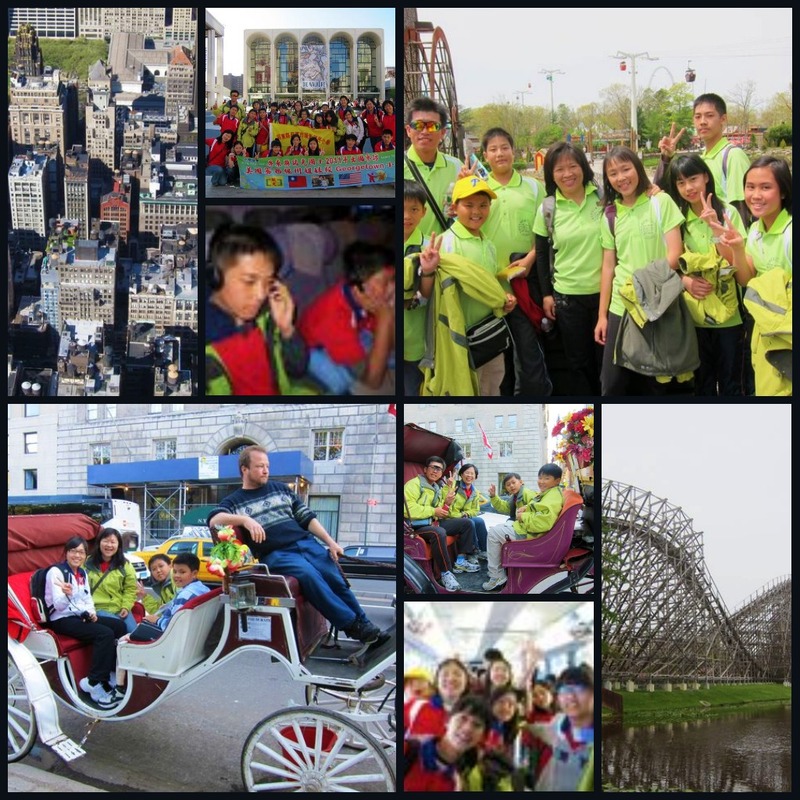 Our Raey Guang pen pals are now in New York City! They are busy touring many sites in the Big Apple from now through Tuesday. Posted below are some photos they sent our way via email. We can’t wait for their arrival on Wednesday…and we are hoping the sun shines while they are visiting us. Taiwan List of Things to do! All our preparations are done for our Sister School to arrive from Taiwan. We are now waiting for their arrival on Wednesday, May 4. We will hold an all school welcome ceremony for the 18 students and five staff members on Thursday at 9:30 am. We will share photos, video and special details right here…on our awesome school blog. Can you tell we are very, very excited for their arrival?! Preparing for Raey Guang Visit! On May 4, eighteen children and five staff members from Raey Guang Elementary school will arrive to spend three days with us. During our time together, we will learn about one another’s language, culture, foods and traditions. The children and staff will be staying with host families which include families from our school as well as staff families. We will be sharing photos and stories from our visit on this blog. 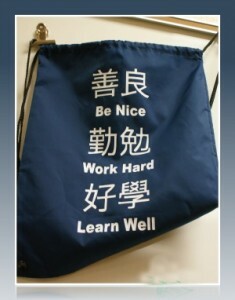 We will be giving our visitors a special commemorative drawstring backpack designed by Superior Sports in Jenison. We are making these one time backpacks available to all of our students. If you would like one or two, print off this form and send this into school by Friday, April 29. The backpacks are $10 each. Sister School to Visit May 4-6! The government of Taiwan has approved for our sister school, Raey Guang Elementary to visit us for a second year in a row. In early February, I sent out a survey to families to identify interested Georgetown penpals and host families. Since then, I have been busy communicating with the staff in Raey Guang to make perfect matches with our students and theirs. During spring break, I received photos of our penpals which you can see above! On May 4, a group of 6 staff members and 18 students will arrive to learn about the American culture and traditions and our education system. The Raey Guang students will be matched with Georgetown students to shadow during the school day and then travel home with them for “home-life/family experiences”. We will hold a special welcome ceremony on May 5 at 9:15 in our MPR. Our sister school will depart on the morning of May 6 for Pingtung, Taiwan. Throughout the experience, we will take photos and share these with you via this site. 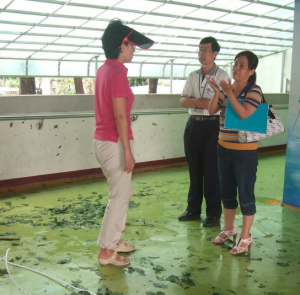 A blog post from June 2010 details the first visit with our sister school. It was incredible in every way—and we look forward to much greater learning and sharing this year. 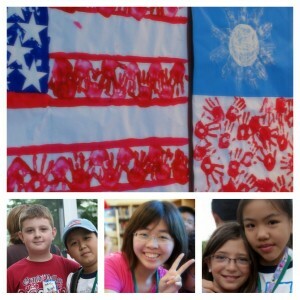 Our sister school, Raey Guang Elementary, will be coming for another visit this May! They plan to bring 30 students and six teachers for a two day visit. The estimated date of arrival is May 1 (Sunday) with departure on May 3 (Tuesday). We would meet them at school on Sunday for host family match up. The ages of the students fall between 10 and 14 (grades 3-6). The Raey Guang children would stay at your home for two nights—experiencing your family life, traditions, routines, language, food and fun. This is a link to a post about the visit last year. It was incredible in every way. For those of you with smart phone barcode readers, you can scan this code to take your survey from your phone. How cool is this?! 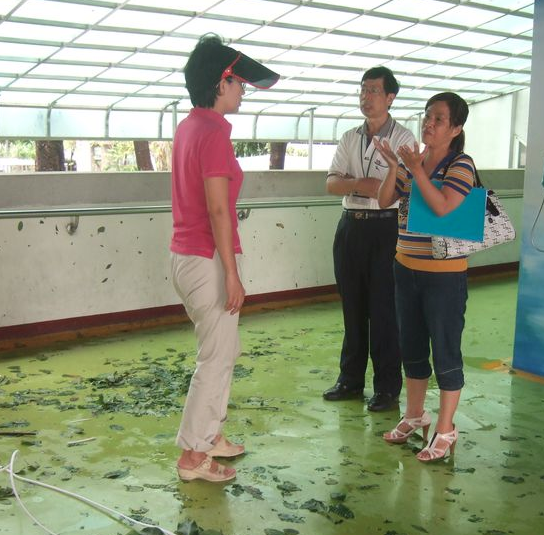 On October 23, Typhoon Megi hit our sister school Raey Guang Elementary. 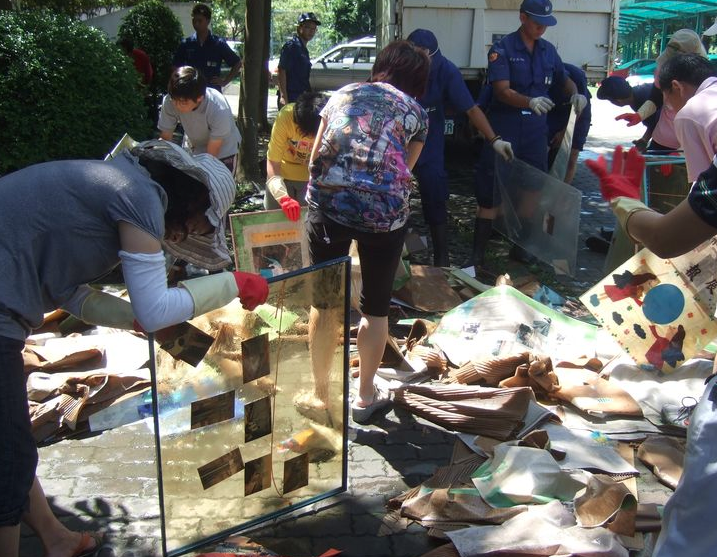 The teachers sent me photos to show the clean up work and the students have written stories in English to share with you. I have linked this this to a RAEY GUANG NEWS page above. 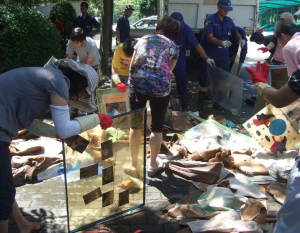 The students from Raey Guang would love to read your thoughts and comments. This helps them to practice their reading of English. 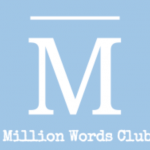 They are following our blog and the teacher blogs…and would love to hear from us! 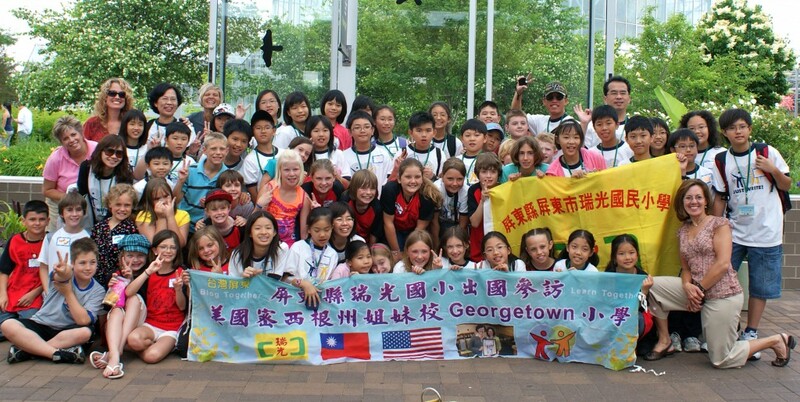 On June 3, 2010 our sister school, Raey Guang Elementary arrived at Georgetown. We spent two days together ….learning about our cultures, community, educational systems and one another. It was a wonderful time together and one that we will always remember. The slideshow below highlights a few of our special moments together. Many many thanks to our host families and 29 Georgetown student pen pals who made this experience incredible! You can also view this slide show on YOUTUBE. Hello Turns to Goodbye TOO soon! Raey Guang and Georgetown students sit on opposite sides of cafeteria, waiting patiently to be introduced to their pen pals! Just as we got to know our Raey Guang friends, it was time for them to depart for their home country, Taiwan! If you have been following our blog, you are aware that much energy and passion has been devoted to their journey to meet us. We welcomed them on Thursday, June 3 at 8:30 am and we said goodbye to them at 12:30 pm today (June 4) at Meijer Gardens. I will share more about the experience in an upcoming post. Until then, read this excellent article by Matt VandeBunte a writer from the Grand Rapids Press. His words sum up the experience very well and I am honored that he took the time to visit our welcome ceremony. We are friends forever…two countries, two schools…ONE GOAL: learning together! 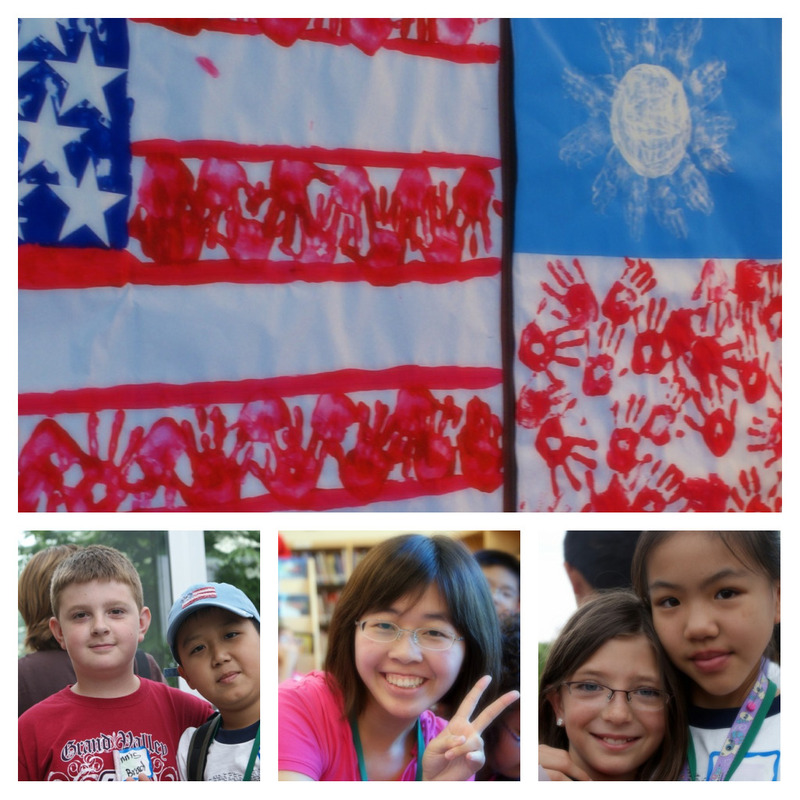 On Thursday of this week we will meet our friends from Raey Guang Elementary, our sister school in Pingtung, Taiwan. 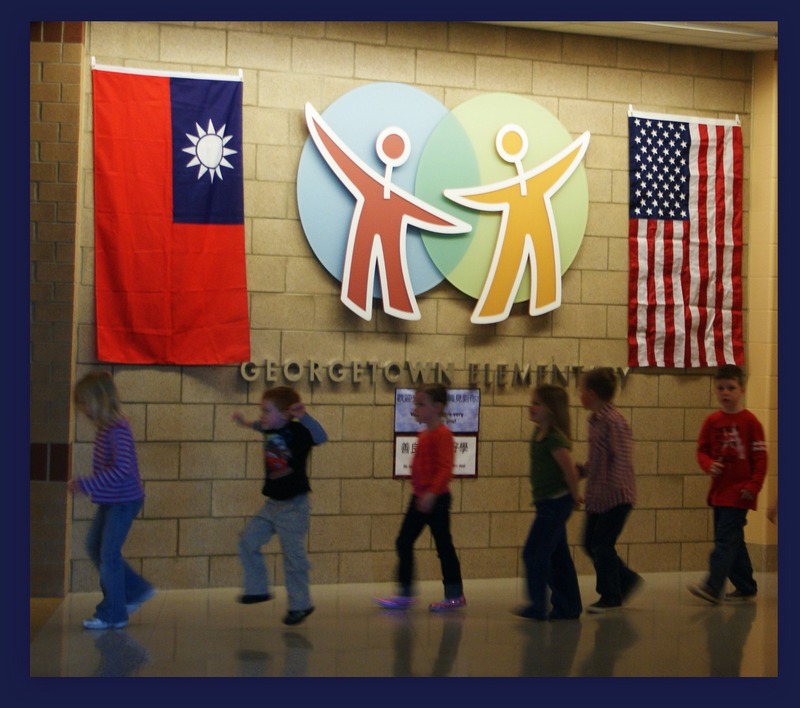 A group of 29 students (grades 3-6), four teachers and the principal are traveling from Taiwan to Hudsonville to meet us and learn about the American educational system. The group has arrived in Los Angeles and visited Disney Land over the weekend. 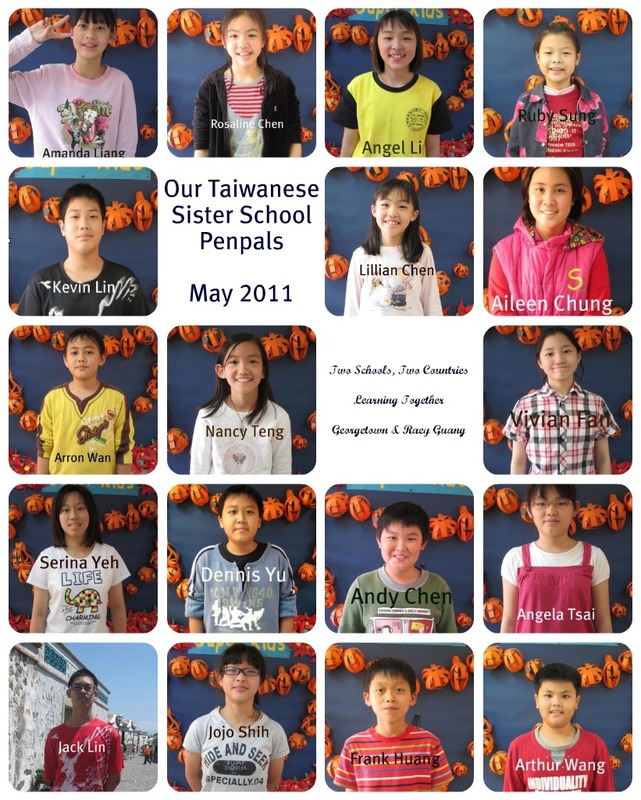 I received these great photos today from Miss Helen Tai, the teacher who has been my pen pal this year. They will be flying into Detroit on Tuesday and traveling to Mackinaw to see the bridge and the island before arriving in Hudsonville later this week. When they arrive on Thursday, June 3, the students will be matched with their pen pals–Georgetown students who have been communicating via email for four months. They will go to classes together, share projects, eat lunch, enjoy recess and much more. At 2:30 pm, we will come together as an entire school to welcome them and exchange gifts. The Raey Guang students will spend Thursday afternoon and evening with host families from our school. 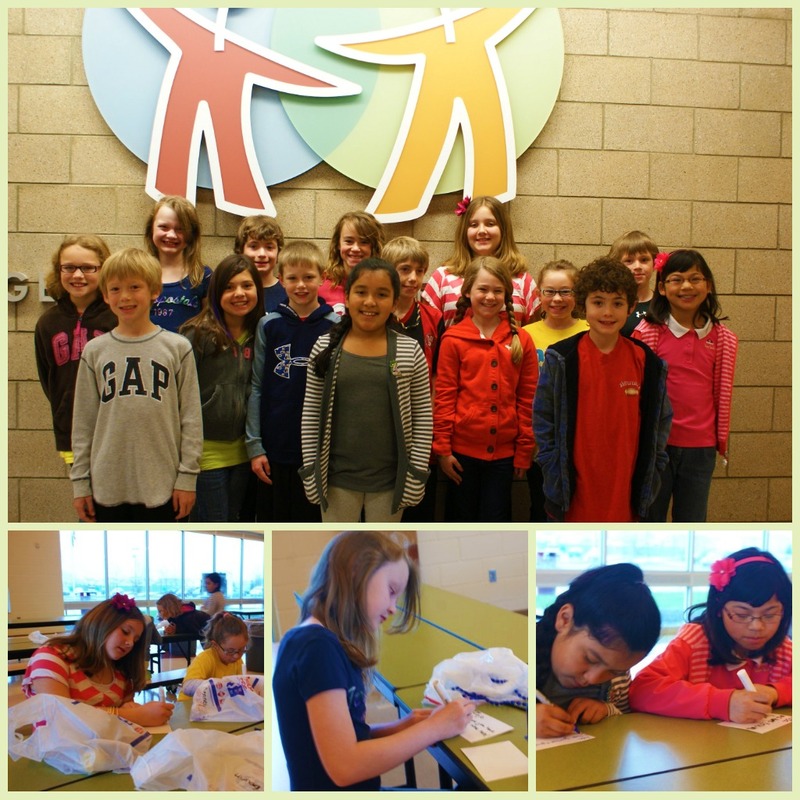 On Friday, the pen pals (Georgetown and Raey Guang) will visit the Meijer Gardens together.